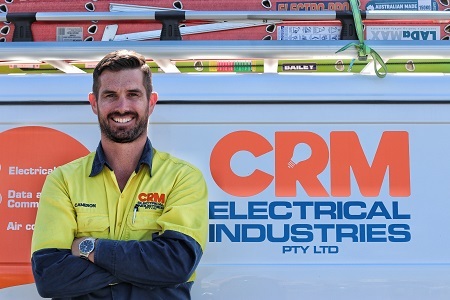 CRM Electrical Industries is a family owned and operated company based on the Gold Coast servicing South East Queensland and Northern New South Wales. CRM has experience across the residential, commercial, industrial and gas sectors of the electrical industry. We can provide you with all of your electrical, data and communications and air conditioning needs in service, maintenance and construction. Cameron has worked in various roles across different sectors in the electrical industry throughout Australia. He has been involved in minor and major projects for local and international companies. Over the years he has gained knowledge and experience in a wide range of processes and techniques. He has also developed a strong understanding of the importance of good customer service and building long-term business relationships.